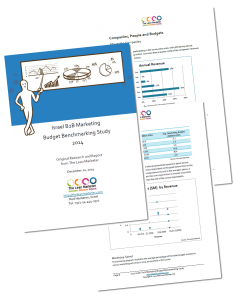 After much research, analysis, and deliberation, the new Israel B2B Marketing Budget Benchmarking Study is now out! If you want to see how your budget compares to your colleagues, and how other marketing executives like yourself are breaking down their budget, this report will be helpful for you. We looked at tactics like advertising, content marketing, digital marketing, events, sponsorships, and more. The report contains 14 charts and graphs, and tons of useful information. I encourage you to download it and share with your colleagues.